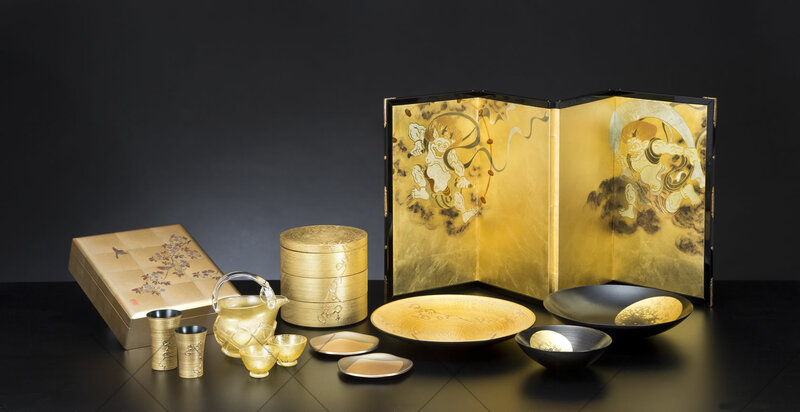 Hakuichi is a company engaged in gold-leaf manufacturing and the manufacturing and distribution of craft, cosmetic and food products that use gold leaf. 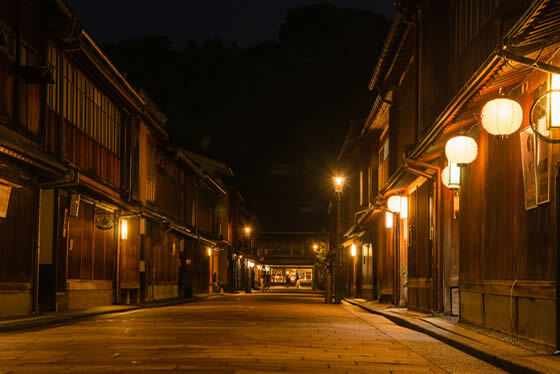 Kanazawa, home to the company, is a historic city full of attractions and visited by many foreigners throughout the year. As a reliable provider of quality products rooted in Japan, Hakuichi has been seeing its business with foreign companies grow every year. 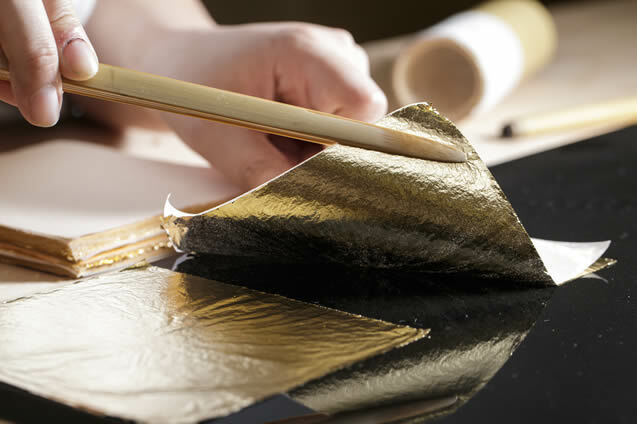 Based in Kanazawa, we are trying to let the world know the charms of Japanese traditional crafts and gold leaf. Japanese culture and customs have been transformed under the influence of various foreign cultures in the course of history. 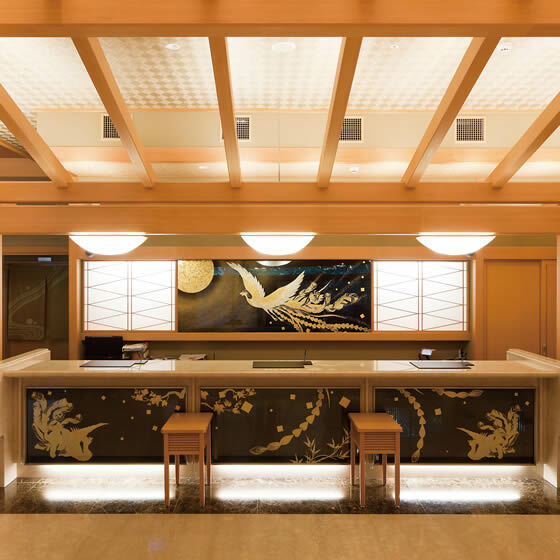 While adapting to those diverse elements, Japanese people remain unchanged in their underlying spirit: love and respect for craftwork and elegant lifestyles. Hakuichi is a company seeing hands-on crafting at the center of its values. This attitude applies not only to its craft products but across all areas related to food, clothing and housing. 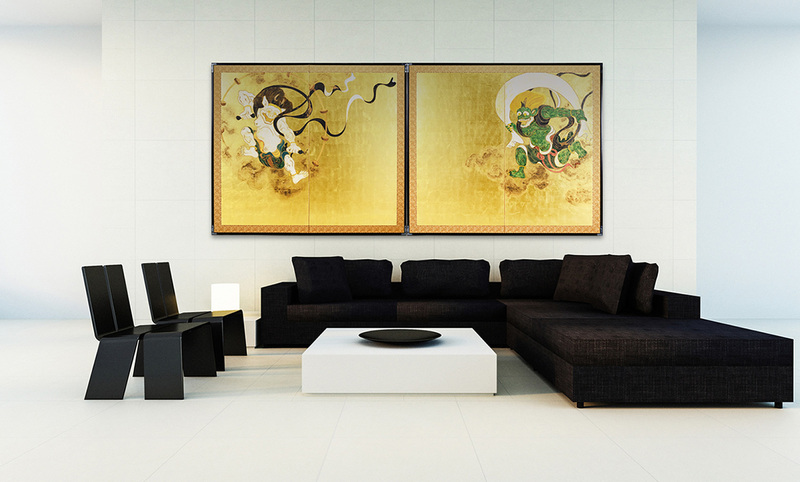 We are proposing a Japanese style for people to live elegantly. 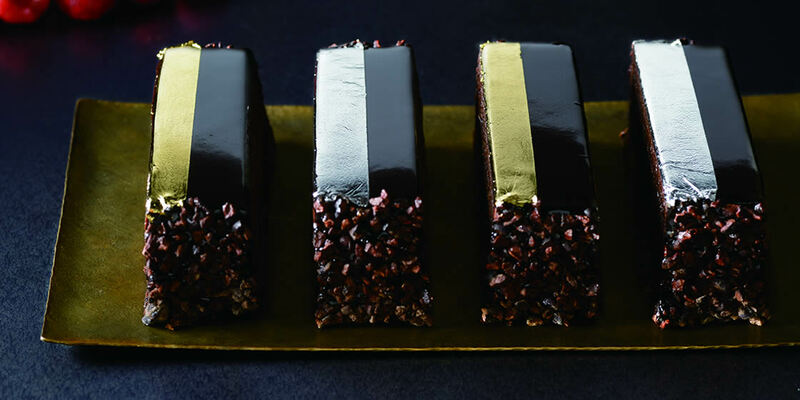 We have been playing a leading role in the industry through the development of edible gold leaf of our own that is safe enough to eat and goes well with various dishes and sweets. Our lineup includes a variety of products innovative in their readiness for mass production and harmlessness to food taste as well as in their appearance. 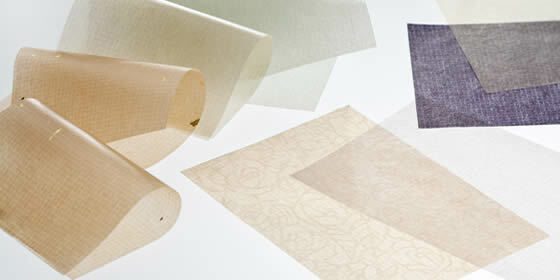 It was four decades ago that Hakuichi put oil-blotting facial paper for women on the Japanese market for the first time. 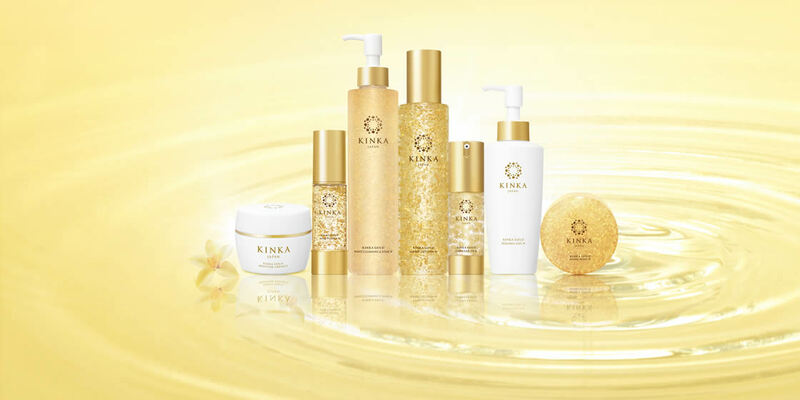 The product has since grown into “KINKA,” a global gold-leaf cosmetic brand commercially available and under further development in pursuit of women’s beauty. 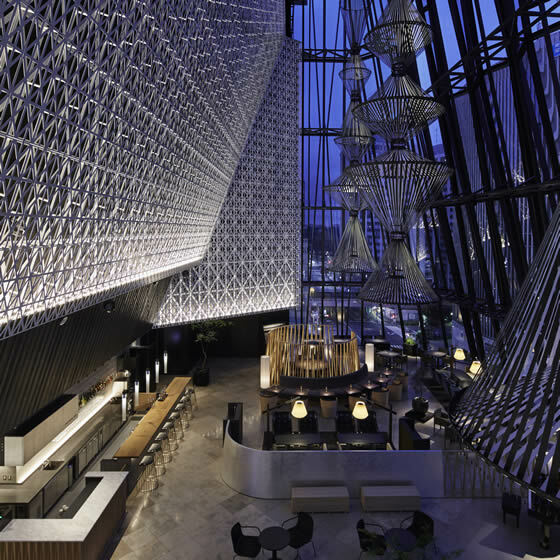 Our metal leaf applications to construction and interior decoration are appreciated not only in Japan but also overseas. We have been working on interior furnishings for top brands in France, Italy and other countries respectful of tradition and demanding in terms of construction technology as well as design. 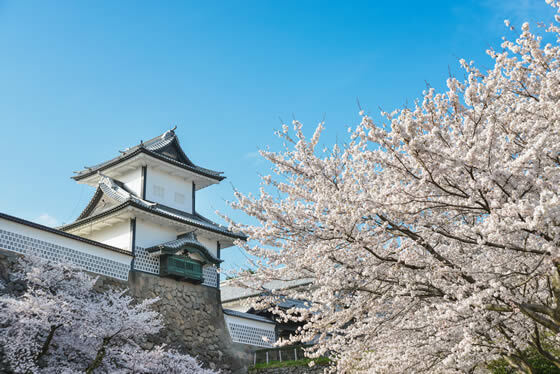 Hakuichi is located in Kanazawa (Ishikawa Prefecture), a city rich in sightseeing resources and visited by customers from around the world throughout the year. 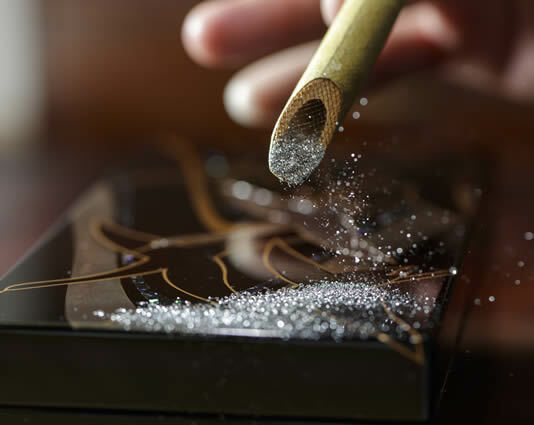 The main shop is designed as a comprehensive museum of gold leaf that allows customers to enjoy with their five senses through manufacturing process observation, crafting experience and more. Other seven shops are located at major tourist sites and readily accessible to anyone in the city who wants to know more about the charms of gold leaf. 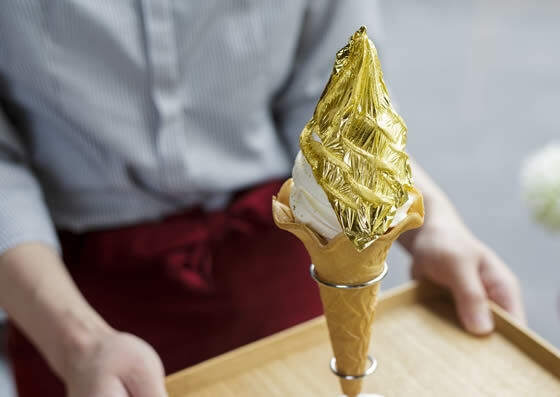 As their soft-service ice cream topped with gold leaf got media exposure, these shops have become popular as photo spots among SNS users in Japan and across Asia, even visited and reported by overseas media. 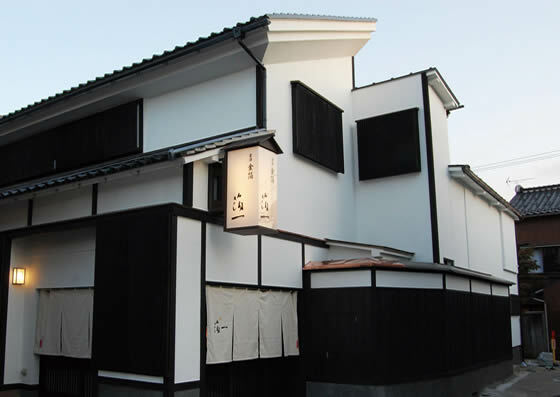 Noted for its historical townscapes, the Higashi Chaya teahouse district is home to this shop visited by many customers throughout the year. The shop is also popular among Japanese and overseas TV reporters who love to soak in its atmosphere unique to Kanazawa. A replica of a suit of armor with a helmet said to have been worn in battles by Maeda Toshiie, a warlord who ruled Kanazawa in the 16th century. Fully plated with gold, this armor probably did not suit anyone but Toshiie, who was known as a dandy. 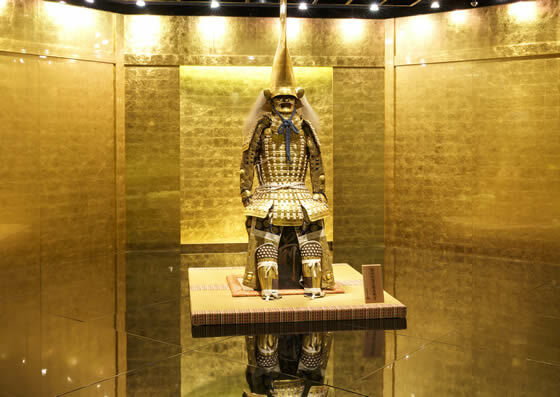 Featuring the display of this gold armor, Hakuichi’s Room of Gold Leaf is visited by many tourists. Word-of-mouth communication on SNSs has made this soft-serve ice cream a huge hit. Just for this ice cream, some customers do visit us all the way from overseas. 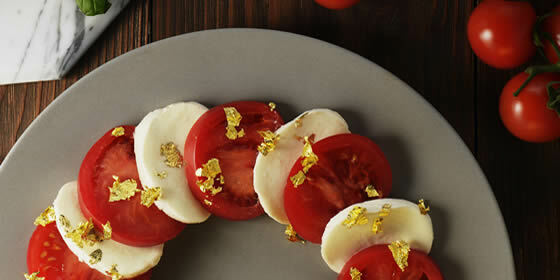 Topped with gold leaf in plenty, this soft service attracts many customers and lets them wait in line even in winter. The Japan-U.S. summit held in February 2017 was the first summit meeting for the new president, drawing attention from across the globe. Against such a backdrop, Prime Minister Abe selected two craft products of Hakuichi as gifts for U.S. President Trump, hoping to present him with Japanese traditional crafts and craftsmanship. 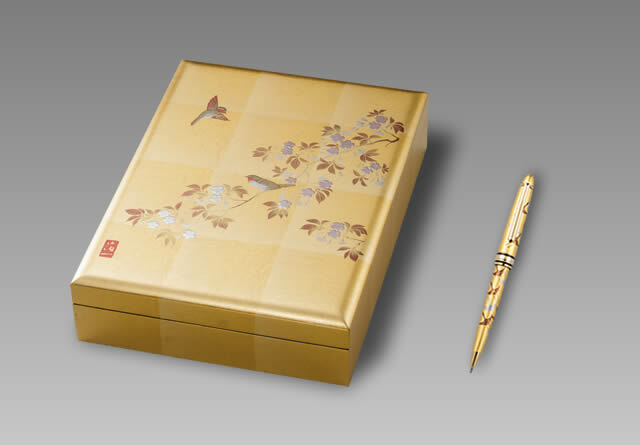 One was a box designed to keep treasures in Japanese history, and the other was a gold-lacquered ballpoint pen. That was a moment when Japanese traditional crafts served as a bridge between the two nations. 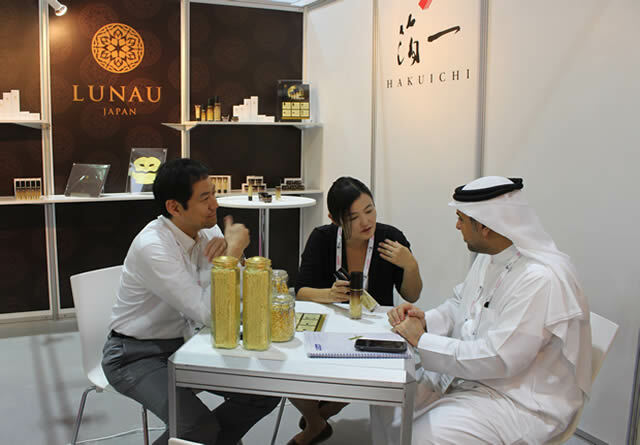 Hakuichi made a presentation at an international exhibition of cosmetics held in Dubai (U.A.E.) in May 2016, hoping to extend its cosmetic business from Asia into the Middle East. Currently, our gold-leaf cosmetics are distributed in Asia. People’s growing trust in “made-in-Japan” cosmetics there in combination with our mid-term overseas strategies have resulted in a sustained growth in the sales of our cosmetic products. Taking advantage of this opportunity to participate in an international exhibition in Dubai, the largest commercial city in the Middle East, we aim at expanding the sales of our gold-leaf cosmetics in the Middle East. Hakuichi is planning to build a new plant in its production plant area. 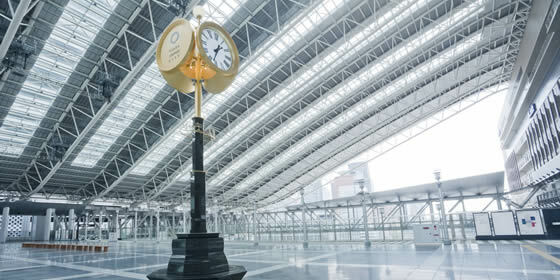 Under this plan, Hakuichi will relocate and renovate its currently running first to fourth plants and manage the whole plant area as an industrial exchange center for Kanazawa’s metal leaf. 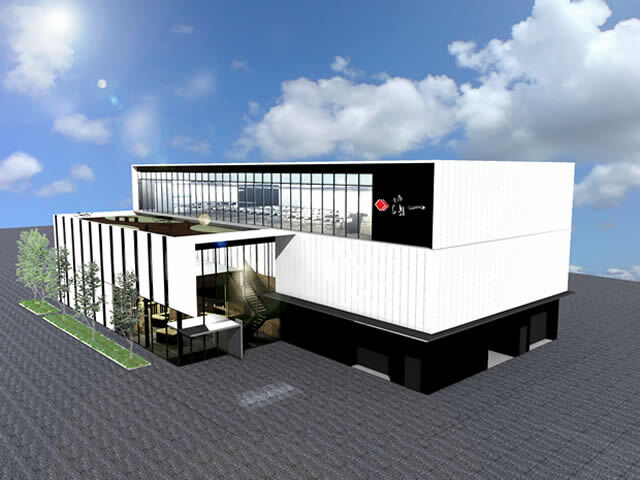 With the launch of the new plant, we will set up an “observation area” and a “gallery” for learning production processes on site and start accepting “industrial tourism.” This is aimed for companies, schools and governments in and outside Japan to improve their recognition of Kanazawa’s metal leaf by learning its craftsmanship worth boasting to the world. Meanwhile, we will nurture young people responsible for the next generation by giving training to them as potential workforce for metal leaf culture and traditional industries. 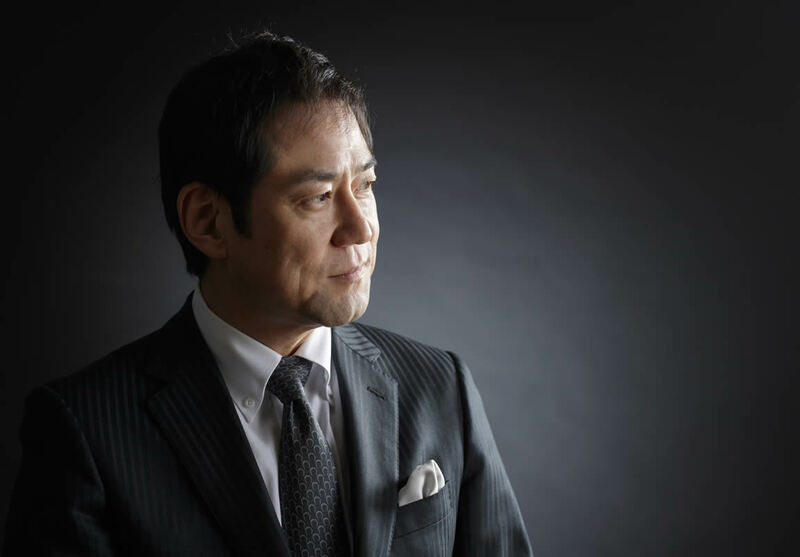 To introduce the brilliance of Japanese craftsmanship on the world stage, we are constantly seeking new business styles that brings out what Japan is proud of. 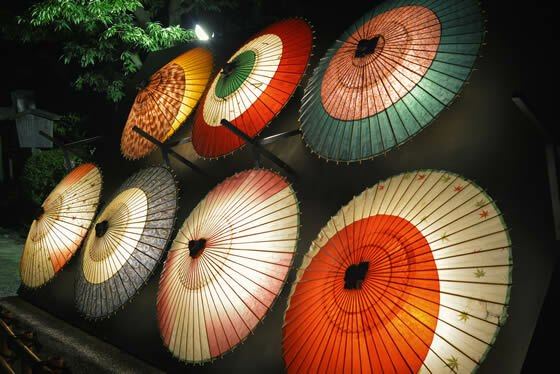 Hakuichi is a traditional craft manufacturer founded on a long history of Japan’s ancient and delicate craftsmanship. Through the discovery of JAPAN STYLE, in which old skills and today’s lifestyle are integrated, we have expanded our business in various frontiers. In every business, we make sure that whatever we create are “genuinely Japanese” and live up to the highest quality standard. As a result, we now receive business proposals not only domestically but also from around the world. Across the Japanese archipelago, the traditional crafts specific to respective local culture flourish. They include textiles, dyes, potteries, lacquer art, bamboo works, etc. each of which boasts unique charms characterized by different materials and skills. These traditional craftwork industries, however, also share similar challenges; automatization, cheaper imitations, lack of successors, etc., depending on each locality’s social circumstances. 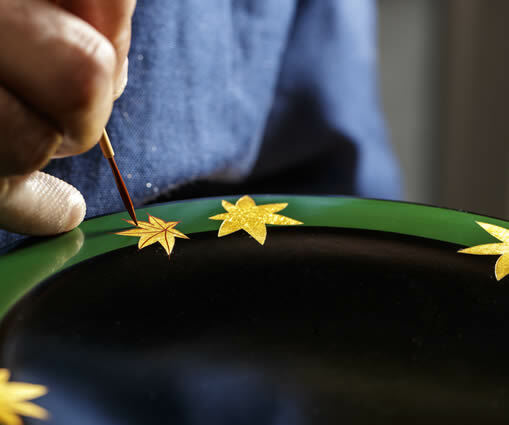 We are one of the first companies who tackled these problems at an early stage and succeeded in establishing the art of gold leaf as an industry. Leveraging this experience, we are aspiring to become a proud member of Team Japan, the country’s manufacturing powerhouse through which different traditional craftworks are integrated and distributed across the world.